Whether you’re interested in joining an after-work recreational league, participate in a Pilates class, or simply work on your cardio, Delaware’s sports centers offer a multitude of options, and then some! There are baseball camps for kid’s, private skating lessons, and even monster truck racing! 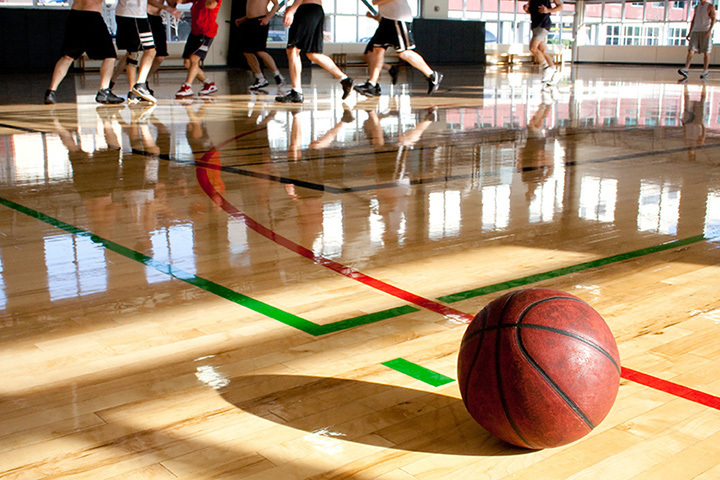 From premier state-of-the-art sporting facilities, to centers focused on specific sports, here are the 10 best in the state. Banning Regional Park in Wilmington is one of the city and state’s oldest park and sports centers. They have facilities for almost every sport (excluding football), plus fishing, a fitness circuit, grills, free parking, picnic areas with tables and grills, restrooms, playgrounds and they are ADA accessible. In business for 36 years, Vince’s Sports Center owns over 18 acres features a nine-hole golf course, 3-par golf course, indoor batting cages for baseball and softball, two min-golf courses, and a massive video and ticket arcade. Vince’s even has their own smartphone app that you can download for specials, golf scorecards, reward points, and more. They frequently host events so make sure to like their Facebook page to stay in touch with them. The DE Turf Sports Complex is a new turf sporting center with 12 fields for turf sports. Not sure where to host your next field hockey tournament? Give DE Turf a call. They also have their own concession stands, and are close to nearby dining options. For more information, please visit their FAQ page where you can find tips and advice for staying with DE Turf Sports complex for your next sporting event. Have you heard about bumper cars on ice? Centre Ice Rink at the Delaware State Fair Grounds now has bumper cars on ice, where children and adults can twirl and ride around the ice inside a bumper car (without fear of falling). Centre Ice Rink offers public skating, lessons, camps and clinics, youth and adult hockey, figure skating and group parties. First State BMX is one of the largest BMX tracks in the area, with a track that is over a quarter mile-long. The soil is a combination of clay, sand and topsoil, and is cared for by both staff and volunteers. There is lots of free parking, areas to sit and eat (and watch), and they house their own Bent Rim Café. Not sure if you want to get involved in BMX? The first ride is on First State as they offer a free first ride with bike included, a great way to see if this is something you (or your child(ren) wants to pursue). They post on their Facebook page frequently regarding track conditions and weather permitting operations. DelMarVa Board Sport Adventures out of Rehoboth Beach caters to water adventurers all along the Delaware beaches. With paddleboard and kayak sales and rentals, one-on-one private lessons, and more, you can try out watersports and learn how to handle equipment properly while having a safe adventure. This is the area’s largest premier water sport centers, and you are definitely in good hands with DelMarVa. Sports at the Beach goes above and beyond the world of sports to bring area adults and children a wide variety of options. If you are looking for archery lessons, or swimming instruction, Pickleball or baseball instruction, Sports at the Beach is one of the most fun sporting centers in Delaware. Host your next birthday party here and rent the batting cages. There are youth baseball tournaments, special events, and their very own World Series. Their premier complex covers approximately 100 acres near Rehoboth Beach. View more Delaware Sports Centers and Complexes.